The purpose of the FCIL Schaffer Grant for Foreign Law Librarians is to provide financial assistance to ensure the presence and participation of a foreign librarian at the AALL Annual Meeting & Conference. Foreign attendees enrich AALL events by sharing global perspectives for the benefit of all participants. A waiver of the AALL Annual Meeting full registration fee. A grant of a minimum US $2,000 to assist with accommodations and travel costs. Note: The FCIL Schaffer Grant for Foreign Law Librarians recipient will be responsible for supplementing the FCIL Schaffer Grant funds with other sources if necessary. An applicant must be a law librarian or other professional working in the legal information field, who is currently employed in a country other than the United States. An applicant must be in a position of significant responsibility for the dissemination, preservation, and/or organization of legal information. An applicant may be from any type of law library (public, law firm, corporate, academic, court, etc.). 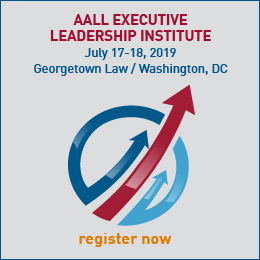 An applicant who would not otherwise have the opportunity to attend the AALL Annual Meeting is invited and encouraged to apply. Applicants must have sufficient English proficiency to fully participate in the conference (both listening and speaking) without an interpreter. The Grant Committee will not consider applications from individuals who have previously received the FCIL Schaffer Grant for Foreign Law Librarians. In order to ensure diversity, the Grant Committee will endeavor not to select recipients from the same country as FCIL Schaffer Grant for Foreign Law Librarians recipients of the previous three years. At the conference, the FCIL Schaffer Grant for Foreign Law Librarians recipient will be expected to share his or her knowledge and experience with other law librarians by making a presentation, participating in a panel discussion, or taking questions from the audience at an FCIL-sponsored meeting or event. After the conference, the FCIL Schaffer Grant for Foreign Law Librarians recipient agrees to write a short article or report (1-2 pages in length) for the Fall 2019 issue of the FCIL-SIS newsletter. The recipient is welcome to propose alternate or additional means of sharing his or her knowledge. To be considered for the FCIL Schaffer Grant for Foreign Law Librarians, please submit an Application Form and a résumé of your professional qualifications. The Application Form should be filled out as completely as possible. Simultaneous electronic submission of a completed Application and résumé is preferred but not required. The Chair of the Selection Committee must receive all applications by January 18, 2019. The Selection Committee will not consider late or incomplete applications. 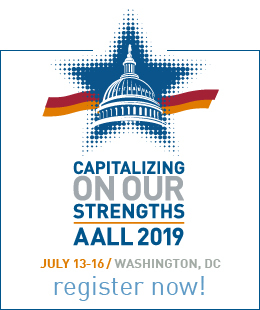 Please note that Schaffer Grant funds are disbursed to the recipient by AALL at the 2019 AALL Annual Meeting. Thus, it is the recipient’s responsibility to pay for all upfront costs associated with attending the 2019 Annual Meeting, such as visa fees and airfare, and to plan for these expenses accordingly. The Selection Committee will notify the FCIL Schaffer Grant for Foreign Law Librarians recipient and other applicants of its award decision by April 19, 2019. The Selection Committee also may post a general announcement in AALL publications and listservs. The FCIL Schaffer Grant for Foreign Law Librarians recipient will receive a formal letter of invitation to the conference from the American Association of Law Libraries. However, it is the recipient’s responsibility to obtain a United States visa for travel to and from the conference. Since the process of obtaining a United States visa is very slow, the recipient is urged to submit their visa application as soon as possible after receiving written confirmation of selection. If circumstances prevent the recipient from attending the AALL Annual Meeting, the grant will revert to the FCIL Schaffer Grant for Foreign Law Librarians Committee for disposition at the discretion of the Committee. FCIL-SIS GRATEFULLY ACKNOWLEDGES THE GENEROUS CONTRIBUTIONS OF MANY DONORS! AALL is a 501(c)3 not-for-profit organization, and these contributions may be tax-deductible.